Video poker is a simplified coupling of a poker game and a slots game, with payouts based on winning combinations that use a standard Hold ‘Em hand hierarchy. Combining two of the world’s favourite casino games, we use the very best in modern technology and game design to bring you a fast-paced game that is easy to learn and offers you plenty of winning combinations, as well as special features that enhance your overall online gaming experience. A relatively new addition to the world of casino games, video poker only originated in the 1970s, but it has been increasing in popularity ever since. 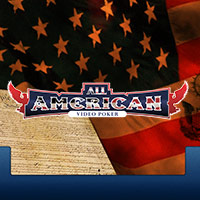 Benefits of this game can include progressive jackpots, double- and half-double-your-money features, and a generous payout system based on poker hands. The reason this game is relatively new is because it couldn’t exist until technology was advanced enough to combine a TV monitor with a gaming system. This became possible in the 1970s and the video poker machine was quickly created, starting out as a simplistic computer game and quickly evolving into the 1979 SIRCOMA game called Draw Poker that could be played for money. Many players who had previously disliked card and table games could now access a quieter, more personal game based on card hands. The machines soon reached America and became a staple in Vegas, and within a very short space of time, they began to dominate the casino floor, rivalling slots as the number one game. However, the Video Poker machines in bricks and mortar casinos had a high minimum coin level, and so the players could that access the machines were restricted. It was not until the internet was created that low-stakes games became available, and as the games moved online, many other benefits arose, creating a new audience and increasing popularity. Online video poker enabled players to access their favourite game when it suited them, and also introduced a range of new exciting themes, designs and game variations. 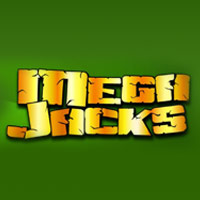 New, multi-layered bonus games appeared, along with special features such as wilds, and bigger jackpots were made possible with the use of linked games that paid into ever-increasing progressive jackpots. There were also a range of casino games bonuses made available to both new and returning players, and minimum coin levels dropped significantly to as low as $0.01, making the game accessible to a wider range of players. There is no sure-fire way of winning when you play online casino games, but there are things that you can do to make yourself a better player. You need to be aware of a number of things, including your chosen game’s minimum and maximum table limits, the number of possible winning combinations and whether the game you play has special features, such as wild cards. Wild Cards: These bonus cards will substitute for almost any other card on the machine to help you complete more winning combinations. This means that the cards in the deck do not necessarily restrict your potential wins and, as a result, you may increase your odds of hitting a winning hand. 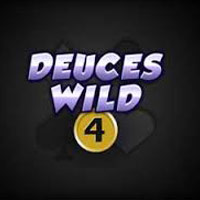 Because it has this feature, one of the most popular online video poker games is Deuces Wild– and it also has an additional four-of-a-kind hand that you can play for, thanks to its wild card. Paytables: Look at these to see what potential winning combinations are available on your chosen game. Seek out the lowest possible hand, the total number of winning hands, and the payouts for each. Video poker payouts vary in accordance to how low a hand they start paying out at – so consult their paytables to find the best game for you. For example, the game of Bonus Poker offers better payouts for four of a kind than most other games, and Tens or Better starts paying out for a pair of tens whereas most other games only start paying for a pair of jacks. Also be aware of whether a game offers a progressive jackpot, as these offer some of the biggest payouts available online. Available in the form of an extra side-bet, progressives are triggered at random using our random number generator and can pay out even if the jackpot has just been won. The variety of video poker games on offer at Slots Heaven includes Deuces Wild, Jacks or Better, Aces and Faces, Genie’s Hi Lo, and Two Ways Royal, as well as a number of multi-hand and progressive games. Each game uses the same software buttons for easy navigation, making it no hassle to swap from one game to another, even if you are relatively new to the online video poker. The aim of video poker is to make the best possible five-card poker hand. You do not play against other players or a dealer, so it is a solitary game, just like slots. To start playing, log in and select the game you wish to play from the casino lobby. Set your coin level using the + and – buttons or arrow buttons and when you’re ready, hit Deal to receive your cards. When your cards are dealt on screen, our software will automatically highlight any winning card combinations that show in the initial deal, as well as any cards that are worth holding. If you think you can improve upon the hand, use the Hold buttons to select the card directly above the buttons that you want to keep. Once you have held the cards you want, hit Deal again for the second (and final) round of cards. Our software also offers you the option to use an Autoplay feature. This allows you to schedule a specified number of games at a set bet amount, providing you with a faster game. Alternatively, play one round at a time if you prefer. All winning combinations are based on standard Hold ‘em hand hierarchy, and the highest hand showing is the only hand that is paid out. For instance, if you get three of a kind, you will only be paid for that hand– you will not receive an additional payout for the pair. If you win, you get paid out instantly according to the paytable. In Autoplay mode, your winnings will also accumulate and be automatically awarded. 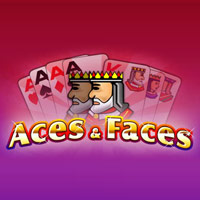 Aces and Faces: This games offers a total of 25 hands to activate in any one game, and offers the double and double half features when you win. 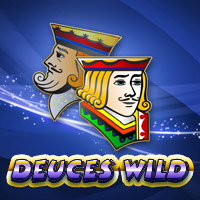 Deuces Wild: When you play this game, all 2 cards are wild, which means they will substitute for other cards to help increase your chances of hitting a winning hand. 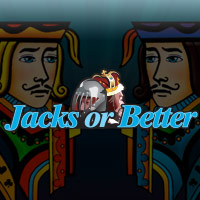 Jacks or Better: A version of draw poker that pays out players for hands starting as low as a pair of jacks. On this machine, a full house pays out at 9x your coin amount, and a flush pays out at 6x your coin amount. Jacks or Better Multi-hand: As above, only you get to play multiple hands simultaneously for increased speed, action and excitement. 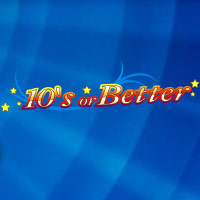 Tens or Better: A version of draw poker with payouts awarded to players for hands as low as a pair of 10s – this game pays out at the lowest hand possible on any video poker game. However, the increased payout for this hand affects payouts elsewhere, with a reduced prize for a full house or a flush when compared with other games. When you play our Slots Heaven video poker games, our software uses the same buttons across the board to make the games easy to understand and play. Some of the games buttons, such as Double and Double Half, will not always be accessible, but will pop up on screen when you hit a winning combination and the option becomes available. Bet Max: Use this button to activate all possible bets in the game and deal the cards instantaneously. Start by setting your coin level – remember, each coin is per activated line, if you play multi-hand games - and then hit the Bet Max button to activate all lines and deal the cards. Bet One: This button allows you to bet on one single payline at a time. Each click will highlight the various hands you can activate at a time. When your choice is highlighted, hit Deal to indicate that you have chosen that hand and you wish to play. Collect: When you hit a winning combination, click this button to collect your winnings. Double: This double or nothing option is a gamble feature that gives you the chance to double your winnings when you hit any winning hand. 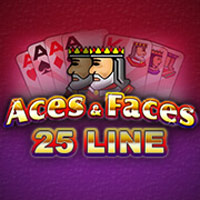 If you opt to double, you will be shown a single face-up card, and you will have to click on one of the face-down cards next to it to set the bonus game in motion. If the card you choose is higher than the face-up card, you win. Otherwise, you lose – including your original winnings. Double half: As above, only you gamble just half of your winnings, with the other half going directly to your casino bankroll before you play the bonus game. Hold: Click this to hold the cards of your choice – there is a hold button for each of the cards, and these can be seen directly below the card. Deal: This button sets the deal in motion so you receive your hand. Click it a second time to receive your second round of cards once you have held all the cards from your initial deal. To open your Real Money account with us at Slots Heaven, click on the Play For Real Money button, and then enter the required details for identification and security purposes. Click on Create to activate your account – making sure you read and accept the terms and conditions first – and once your account is activated, you can go to the cashier to make a deposit. Once your deposit is completed, you can play on any of the games in our online slots casino. Our deposit methods include credit cards, debit cards and online e-wallets. To make your deposit, select your preferred payment method, stipulate your required deposit amount and follow the onscreen instructions. When the payment is verified, you can then play video poker for real money. Learn the following terms or use it as a guide when you play to help improve your understanding and enjoyment of the games. Cashier: This is where all monetary transactions, such as cashouts and deposits, take place. Double: This gamble feature gives you the chance to double your money with a bonus game in which you must try and pick a card that’s higher in value than the face-up card showing onscreen. Half double: As above, but only half of your winnings are bet. The other half goes directly to your casino bankroll. Multi-hand: These games enable you play multiple hands simultaneously during any round. Payline: Most online video poker games offer multiple hands that you can play during a single round. 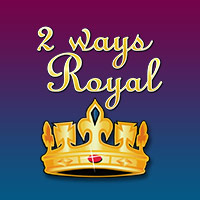 Payouts are only made for winning combinations on activated paylines. Progressive jackpot: An accumulative jackpot that is linked to multiple games. It’s randomly triggered, has no maximum upper limit, and the amount won is the amount that shows on the jackpot counter at the time of winning. Wild: This card will substitute fore any other card to increase your chances of completing winning combinations.